COOPER Orange Blossom Flavored Water provides softness and soothing to dry skin. Used in cooking to give taste to pastries and bring an oriental touch to cakes, orange blossom is also recognized for its many virtues in cosmetics . Tonifying and refreshing, it makes the skin softer and more beautiful as the days go by! 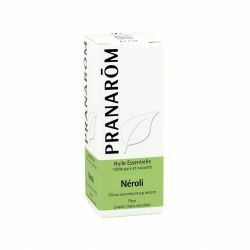 Very fragrant, the orange blossom also called "essence of Neroli" is a plant with a thousand virtues! Well-being, cosmetics, cooking ... everything goes ! Orange Blossom Water 250 ml bottle Cooper benefits from the natural benefits of plants to relieve various skin problems. It provides softness and soothing to dry skin . 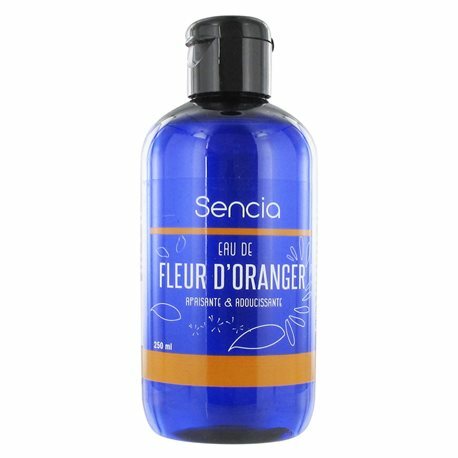 Water flavored with orange blossoms brings a relaxing effect to the skin, and allows it to regain radiance and beauty . Facial : use it as a lotion by applying directly to the skin of the face using a cotton pad. Comment on advice for use and dosage of orange blossom water 250ml bottle COOPER with our partner Avis checked after your purchase. Concerning the conservation of essential oil or floral water of orange blossom, think that the container is safe from air, light and heat. Cooper comes in a 250 ml bottle. Fruit of the bitter orange tree, a thorny shrub brought back from the East at the time of the Crusades, orange blossom has been used in cosmetics since the Renaissance. It also bears the name of neroli, and its tree that of bitter orange. This flower is known for its soothing properties, properties that are found in the floral water, obtained by distillation with water vapor. Soothing, but also softening, floral water of orange blossom refreshes and tones the skin. It also leaves a very pleasant scent. Regenerating, it takes great care of dry skin, tired, delicate or irritated. Spray, lotion and massage. The choice depends on the area you want to treat or the desired result. In lotion: to clean, moisturize, remove make-up, give a fresh touch to your complexion. Pour a few drops of orange blossom water on a cotton pad and apply gently to your face. Spray: to fix your makeup, spray it by placing the bottle 15 cm from your face. In massage: to optimize the penetration of a vegetable oil into your skin, put a few drops on the tips of your fingers and massage gently. In misting: to give a boost to dull hair or toning, apply orange blossom water on your roots wet or dry, then brush your hair. In lotion: for a deep care, mix a few drops of orange blossom water with your usual mask. This will improve the effectiveness of it and stimulate hair growth. In lotion: For a complete nail care, mix a few drops of orange blossom water with a few drops of lemon. Using a cotton pad, apply this mixture on the nails. Its many soothing and sedative virtues make this flower, the antistress flower. In massage oil or infusion, the orange blossom will exert its calming powers. It is also widely used to relieve sleep disorders. It offers soothing properties on the skin, as on the nervous system. You will understand that it is in the form of floral water or essential oil, the orange blossom will relieve you of many ailments! When we move to organic cosmetics , some products that are not present in conventional radii can question. In the list, hydrolats and floral waters figure prominently. Hydrolates are distilled water (condensed water vapor) separated from the essential oil at the outlet of the still. Less concentrated in aromatic compounds than essential oils, they allow the most sensitive to appreciate the aromatic qualities of plants. Hydrolatherapy consists of providing care through hydrolats to preserve health or treat . Aromatic hydrolates are used in cures and care, pure or diluted. 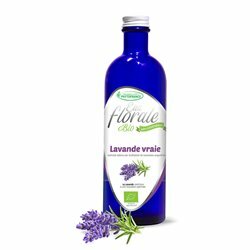 The floral waters allow multiple uses for the care of the body, the well-being, the health. The hydrolats are used for the most fragile and delicate skins . 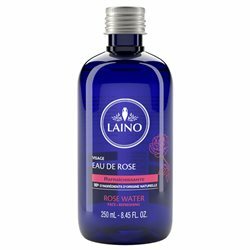 Find our new range of aromatic Hydrosols and floral waters in our French bio pharmacy.